Nearly 350 private sewage lorries in South Chennai went on an indefinite strike early this week to protest against the hike in rates for discharge of sewage loads at Perungudi treatment plant. Chennai Metrowater has recently hiked charges from Rs 100 to Rs 250 for sewage disposal at its Perungudi sewage treatment plant. The plant is the sole point of discharge for these tankers, which collect sewage from hotels, multi-storeyed apartment complexes and households from Tambaram, Guduvancherry, Medavakkam, Jaladarampet and along the OMR and ECR stretches. The Perungudi treatment plant receives nearly 208 sewage loads from these areas daily. Nearly 350 lorries are involved in clearing the septic tanks of buildings in the southern parts of the city, which were yet to get a drainage network. On an average, each lorry makes 3-4 trips daily. Metrowater says that the price has been revised after 15 years. The Greater Chennai Corporation has cancelled three tenders worth Rs.57 crore relating to road laying and storm water drainage works following allegations of discrepancies. 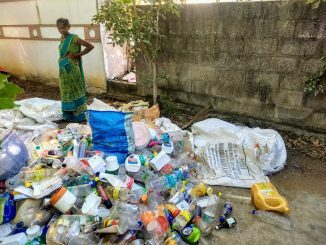 The civic activism group Arappor Iyakkam had raised concerns over the allocation of tender and had submitted proof of discrepancies following which the tenders were cancelled. Meanwhile, Chennai Corporation’s contractors have come out openly on all the wrong-doings of the bureaucrats who favour a select few contractors. Around 100 contractors have alleged that they have to pay 18% of the total project cost as bribe. The Commissioner has confirmed that the tender discrepancies will be looked into and action would be taken. 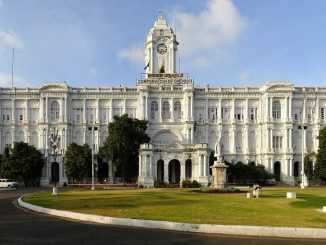 The Chennai Corporation has a list of around 750 registered contractors out of which only 30 odd contractors invariably win the tenders. 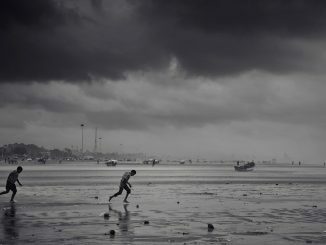 The low pressure over Bay of Bengal and the subsequent conditions expected are unlikely to bring any respite to the city’s water woes. While the skies will remain cloudy bringing in light spells of rain, it is likely to bring showers to southern districts. Chennai received short spells early this week but it just might not be enough and Chennaiites might have to experience dry weather at least till mid-December. With little over a month to go for the Global Investors Meet, the civic infrastructure in the city seems to be up for a quick makeover. Arterial roads leading to the event venue, VVIP routes and parking lots are being beautified. While places from the airport to Kathipara junction will get a face lift, stretches from the airport to the city will be illuminated further. Mobile toilets are also being set up and agencies have been asked to step up all work on urgent basis. As the rival factions of parties got down to display show of strength with a rally to commemorate their leader’s death anniversary, commuters were the ones put through various hardships. There were no traffic diversions that were announced and motorists blamed poor traffic management and inefficient planning. The traffic came to a halt on Anna Salai and Poonamalaee High Road. Smaller roads connecting them were clogged as the ruling party and its competing faction took a rally to Marina to pay respects to the former CM J Jayalalitha. While it took thousands of commuters over an hour to cover short distances, even ambulances were stuck in the chaos. The Transport Department in coordination with National Informatics Centre (NIC) has upgraded the online Parivahan portal and learners’ licence applicants can now book appointments online. The department is first among the state government departments to introduce dedicated time slots for public services online. The new system is expected to reduce malpractices and ensure transparency in processing of applications. all over coovam and adyar rivers sewage waters are let off by the municipalities also the water in both the rivers are not pure. i remember a decade ago one german minister swimmed across a river in his country to show the people of their country that the water in the river is clean and not dirty. here in chennai nobody has guts to do the same now state has the responsibility to built sewage lines and treat them but several lakhs households are out of reach of sewage lines. at least they should accept the lorries free of charge.